3Get on your yoga mat. 5Zen out on a walk. My husband and I have moved around a lot. Yesterday, we experienced our first move with our daughter—and my first time not riding in the U-Haul truck with him. Instead, I was driving behind it—and behind all of our worldly possessions. I was maneuvering the Ohio turnpike to the sounds of my 19 month-old daughter’s snores and my iPod when I was struck with the thought that even though my car held relatively few items inside of its trunk, I was actually hauling our most precious cargo—our little girl. I felt my hands move to 10 o’clock and 2 o’clock, but my heart began to feel much lighter than in recent days. Moving does funny things to your body. I find my shoulders hiked up to my ears, my digestion completely out of whack and my entire frame of mind to be somewhat spacey and disorganized. Along with the randomly placed boxes and items in our new house, I too am still looking for my rightful ‘place.’ If you study chakras at all, you’ll know that my root chakra needs both balancing and cleansing. Your root chakra might need balancing, too, if you feel controlling or quick to anger—among other things—or if you feel a lack of confidence and insufficient drive to achieve simple life goals. When your root chakra is balanced, you have energy and self-confidence rather than arrogance or fear, and you feel calm, centered and ready for what life brings. Here are six easy tips to balancing your root chakra. Seriously—envisioning the color red glowing brightly at the base of the spine, where this chakra is located, is the beginning of root chakra cleansing and balancing. Start with the simple meditation of imaging a bright red light at the base of your tailbone. Picture this red light extending down your legs and feet, grounding you to the earth. I don’t care if you “can’t dance.” Close the door and move your body. This is one of the best ways to balance this chakra. Even better—turn on music and sing along, as singing cleanses your throat chakra for an added bonus. Get on your yoga mat. Many yoga postures are designed to cleanse this chakra. My favorite is tree pose. You can use your ‘seeing red’ visualization as you firmly plant your entire left foot onto your mat and bring your right foot up into tree pose. Keep your hip points squarely ahead and your toes tucked in as you place your foot anywhere on your leg besides your knee. Be creative and make your tree pose your own. Place your right leg into half lotus or engage your core and reach your arms overhead, keeping the base of your neck soft and your elbows straight as you rotate the pinky side of your hands in to engage your triceps. Most importantly, feel supported and connected to the earth as you hold your tree pose for 5 to 8 breaths before switching sides. This is such a wonderful root chakra cleanser. We are physical animals in addition to being intelligent, thoughtful human beings. Embrace and love your physicality by being completely present as you bathe. Mindfully moving is a powerful form of meditation. Zen out on a walk. Take this idea of mindfully moving on your walk with you. Concentrate on your foot leaving the ground and connecting to the earth again with each step. You’ll give your mind a break and cleanse your root chakra at the same time. This might be a little bit of an exaggeration, but loving your feet and taking the time to pamper your physical body are great ways to also care for your root chakra energy. 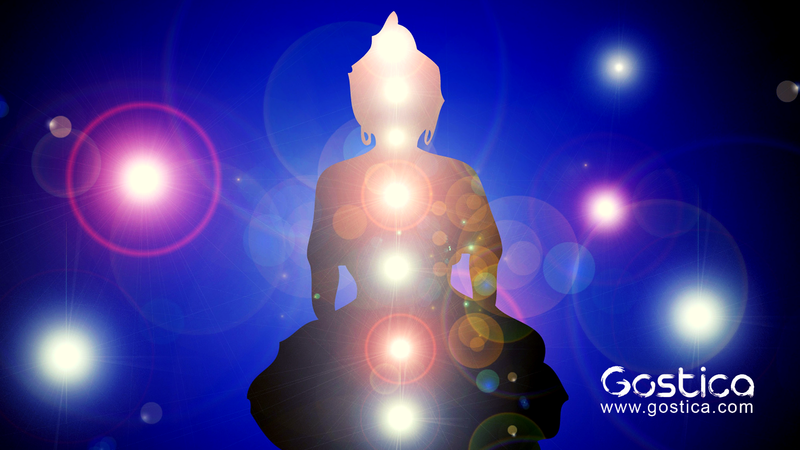 Chakras are both complex and fascinating. The root chakra is often thought of as providing energy to other chakras, so if it’s blocked or unbalanced, your other chakras likely are as well. Just like a building, making sure that your chakras have a firm foundation—with a balanced root chakra—is crucial to having a healthy, open chakra system. Begin to feel confident, stable and physically alive as you tap into your own renewable energy via a balanced root chakra. I’ll need it as I unpack all of these boxes. Now where did that darn box of nail polish go…? This was written by Jennifer White for MindBodyGreen.